Prime Leawood, KS Retail/Office Lot Auction | 60% Off Last List! 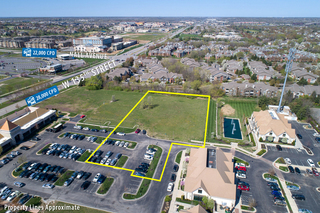 1.82 Acre Prime Retail/Office Lot in Premier Leawood, Johnson County, Kansas Mixed-Use Development at 135th & Roe - Parkway Plaza. Join Starbucks and Many Other Professional, Medical & Retail Businesses. Level Lot, Ready for Building. 60% OFF LAST LIST PRICE! LOW SELLER'S RESERVE ONLY $286K! This 1.82 Acre Lot is Located in One of the Best Real Estate Investment Markets in the Country, Johnson County, KS. Don't Miss This One. Make Offer Now or Bid Your Price! If you would like more information on selling your commercial property, contact us for a property auction evaluation. 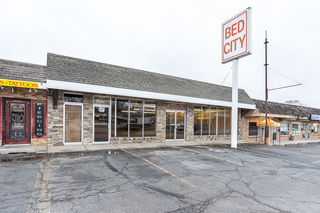 We offer auction services for all types of commercial properties including office, industrial, retail, multi-family, development and specialty properties. To learn more about how auction marketing can work for you, click here. Commercial properties we’ve recently sold through auction marketing.